Cinco de Mayo celebrated on May 5th, commemorates the triumph of a small Mexican army over French forces in an 1862 battle. The Battle of Puebla took place only 14 years after the United States defeated Mexico in the Mexican-American war. With the weakened army and lagging national pride, the odds were against the Mexican people. When the French forces, backed by Emporer Napoleon III, marched on Mexico City and threatened to turn it into a French monarchy, the Mexican people quickly organized. Led by Mexico’s former Secretary of War, Ignacio Zaragoza, the Mexican army first fought the French invaders at Acultzingo on April 28th. They were forced to withdraw but quickly regrouped in the strategic city of Puebla. On May 5th, despite the exhaustion of the troops and meager resources, the 33 year old general and his army forced the invaders to retreat. Why do we celebrate Cinco de Mayo? Although the Battle of Puebla (Battala de Puebla) did not win the war, it was an inspirational example of how the Mexicans were strong enough to fight against all odds. Although Cinco de Mayo was a notable day in Mexican History, it is not nationally recognized and is not celebrated in Mexico. Most people think Cinco de Mayo celebrates Mexican independence. 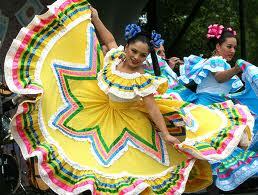 Mexican independence is celebrated on September 16th. Enjoy your Cinco de Mayo and celebrate Mexican history and culture – just remember this is the day at the Battala de Puebla (Battle of Pueblo) that the Mexican Army said “No!” to the French Monarchy!